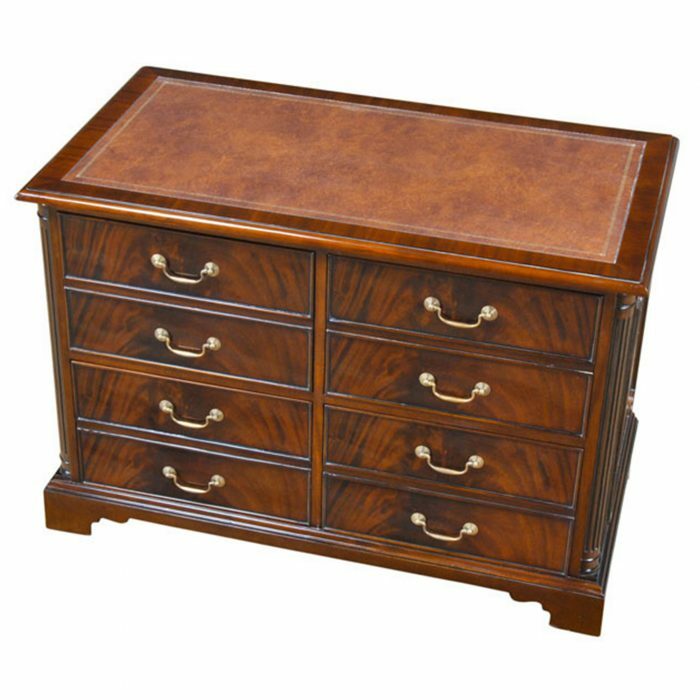 This Mahogany Credenza matches a number of other items in the Niagara Furniture office collection. 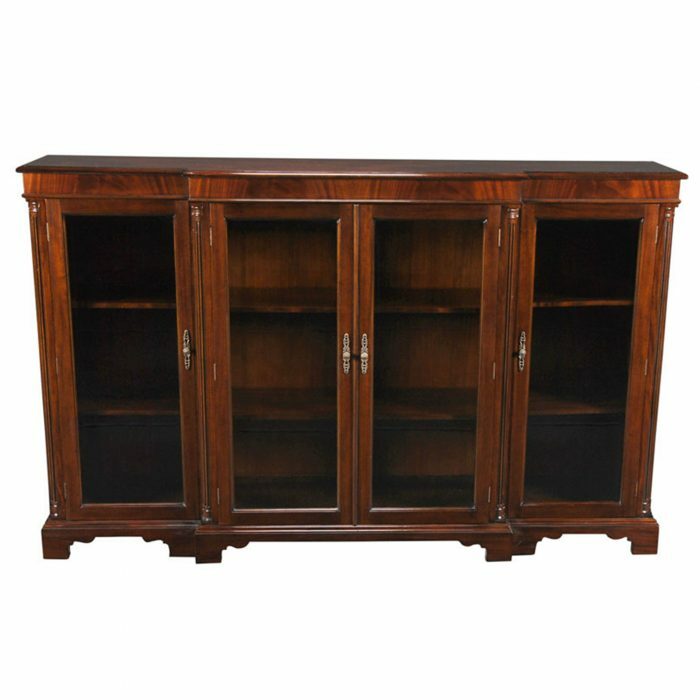 The credenza utilizes three part construction, the top and two pedestals separate from one another for shipping and installation. 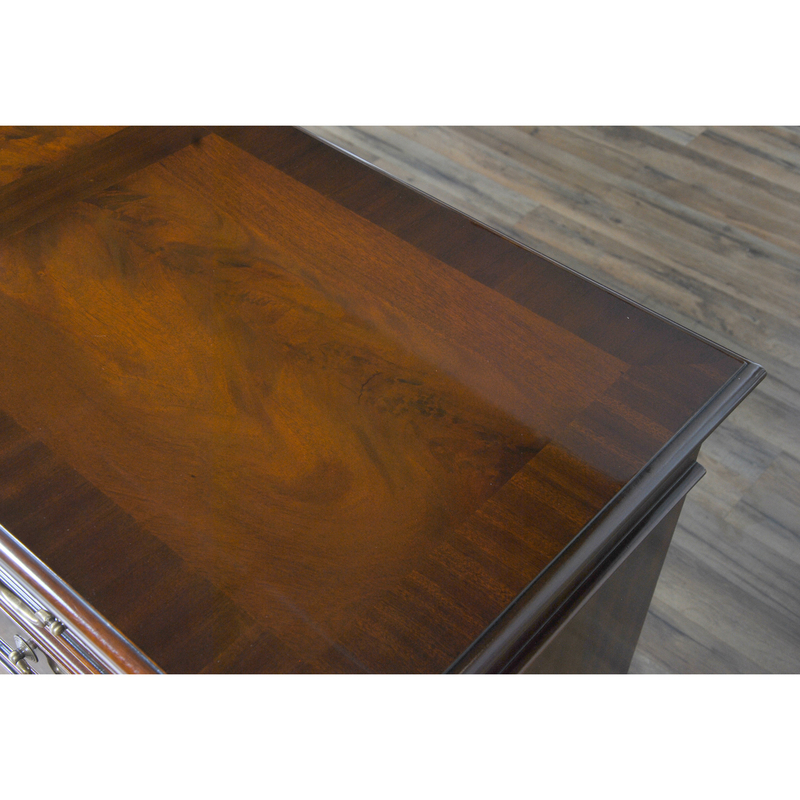 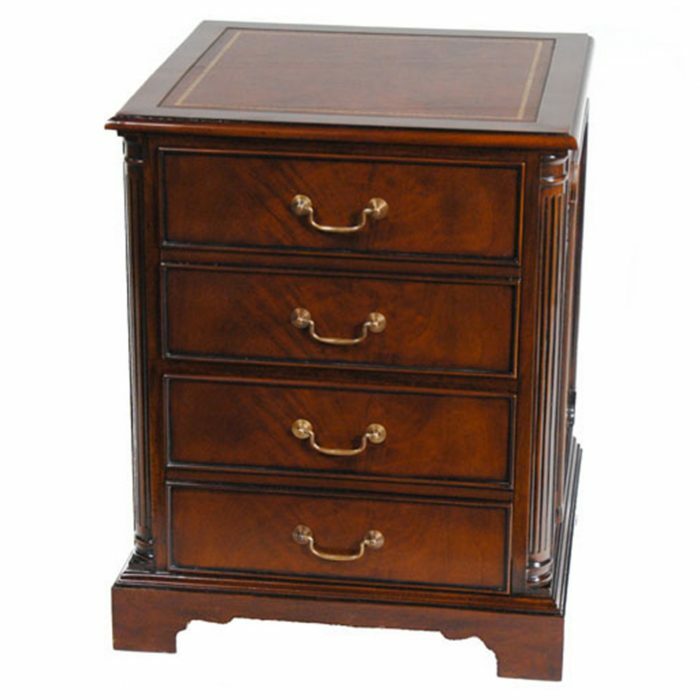 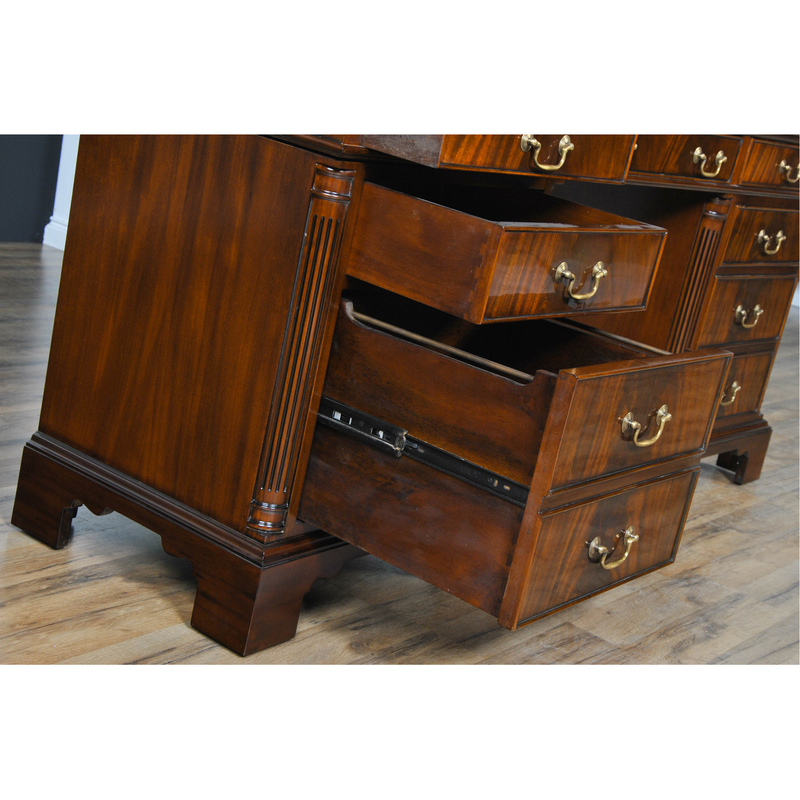 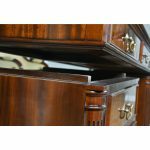 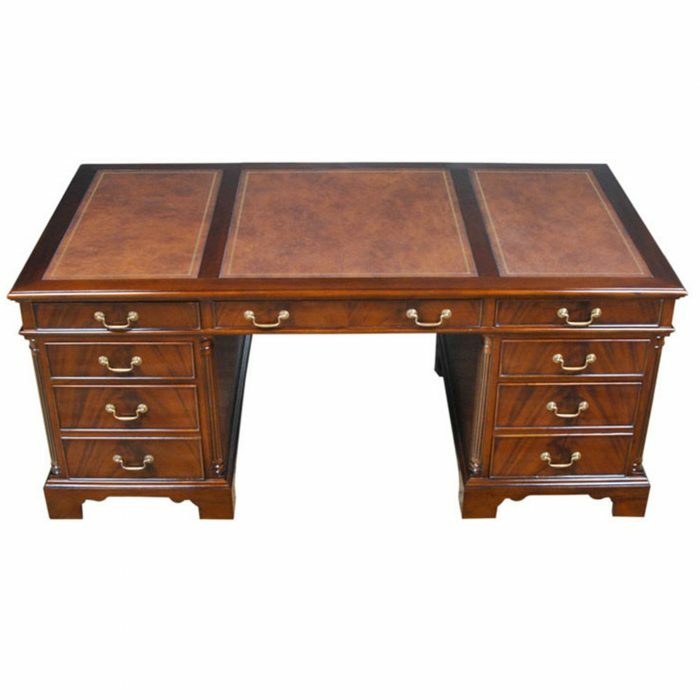 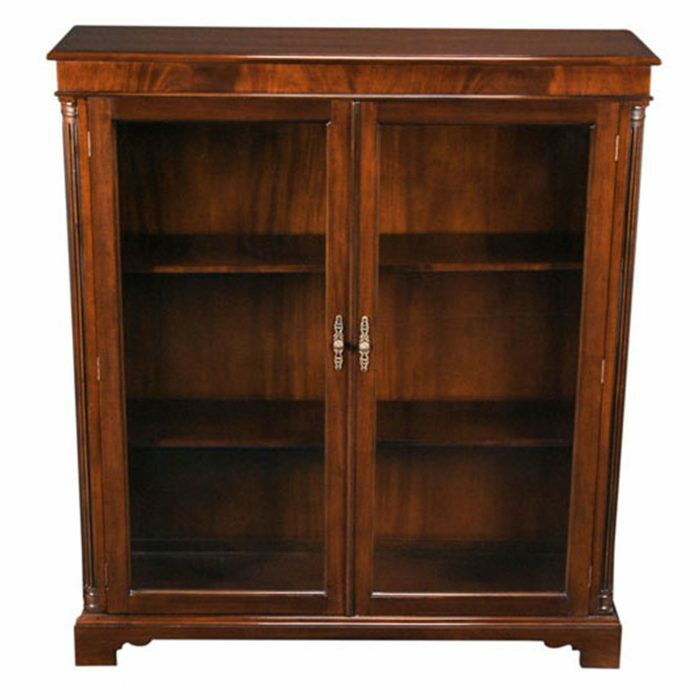 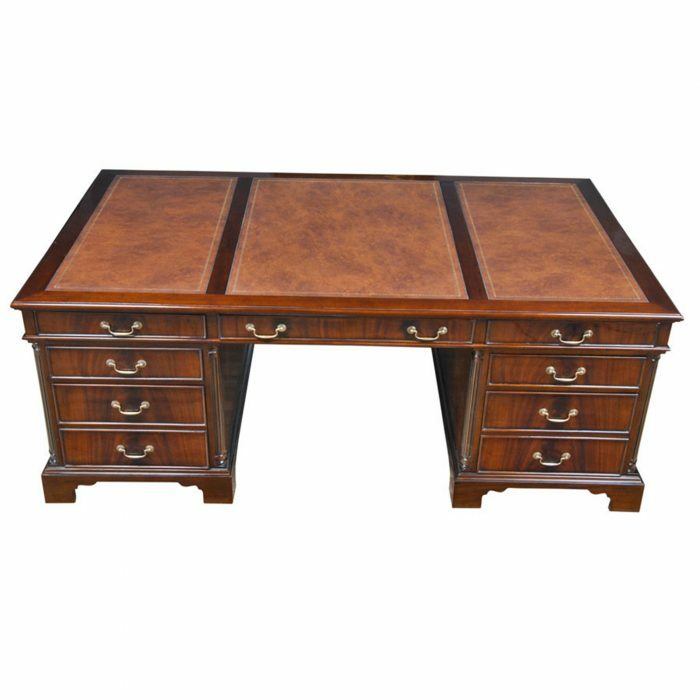 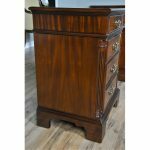 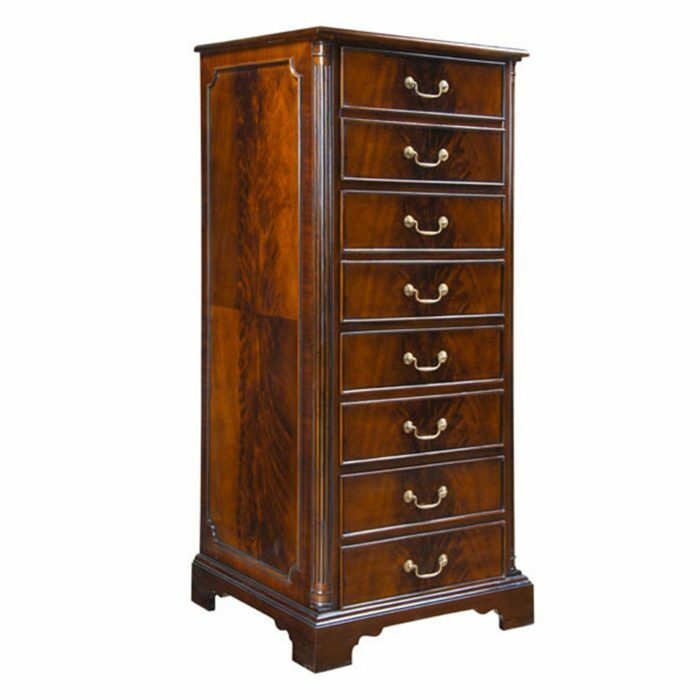 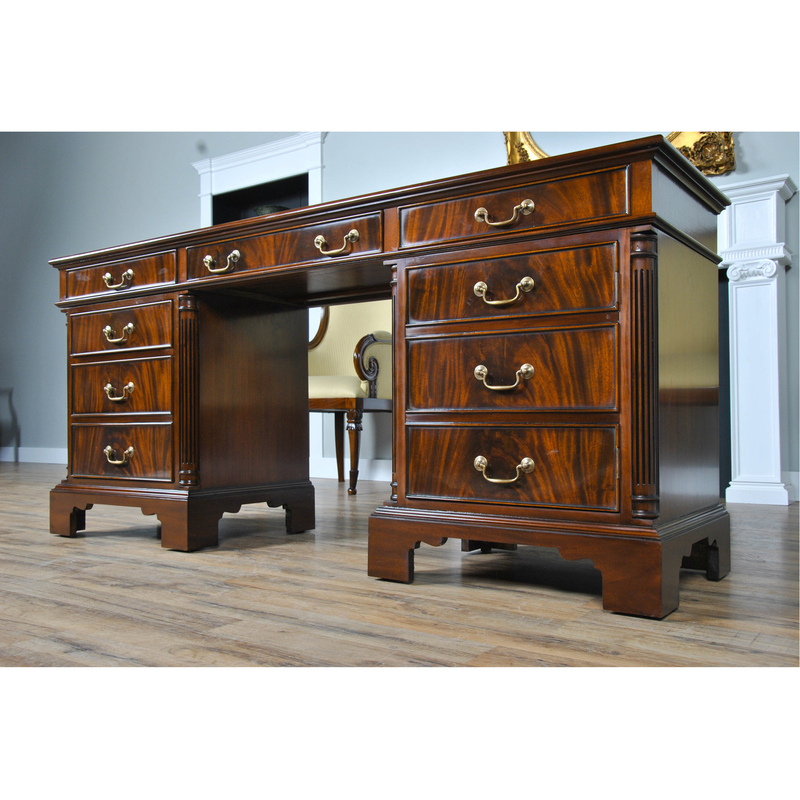 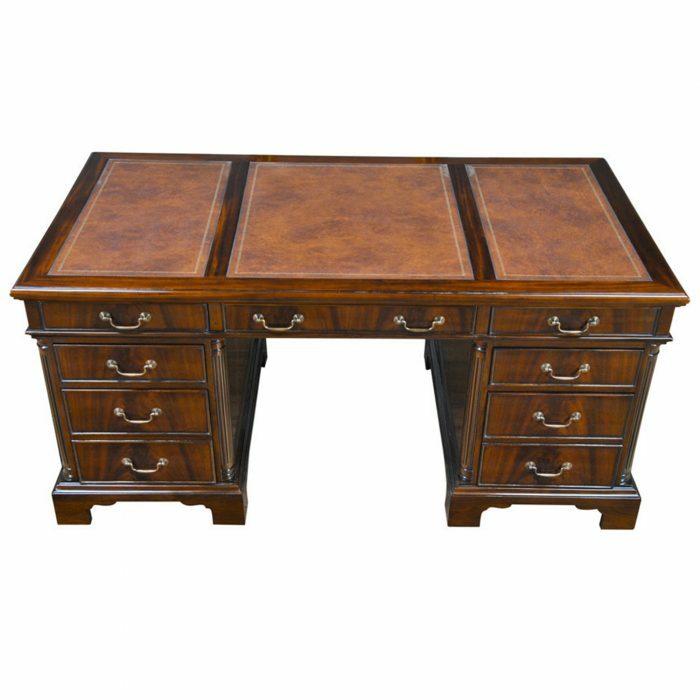 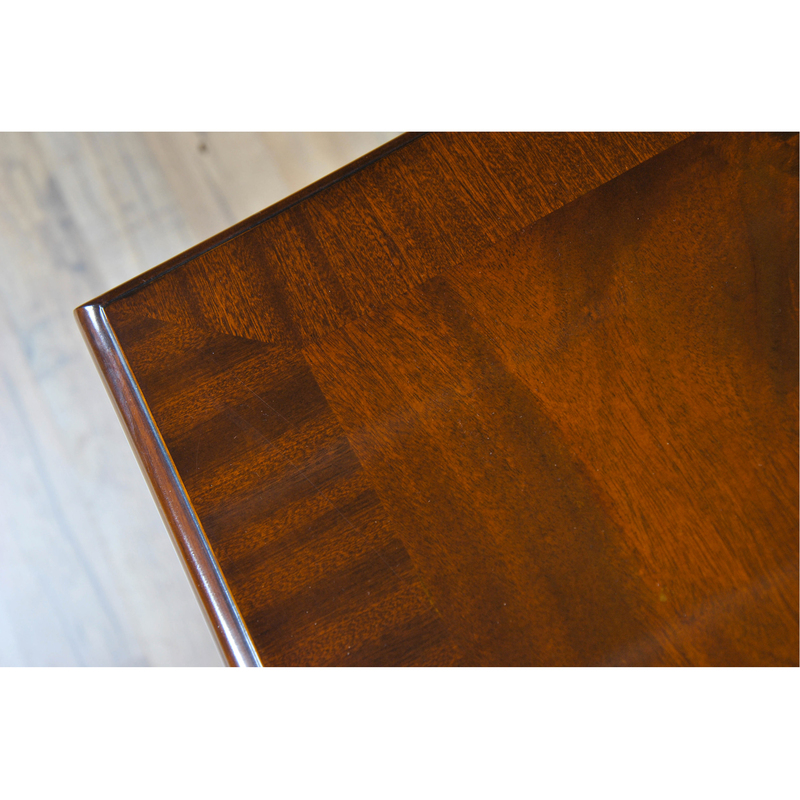 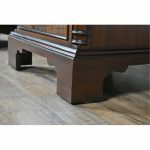 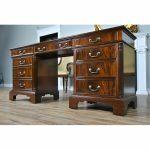 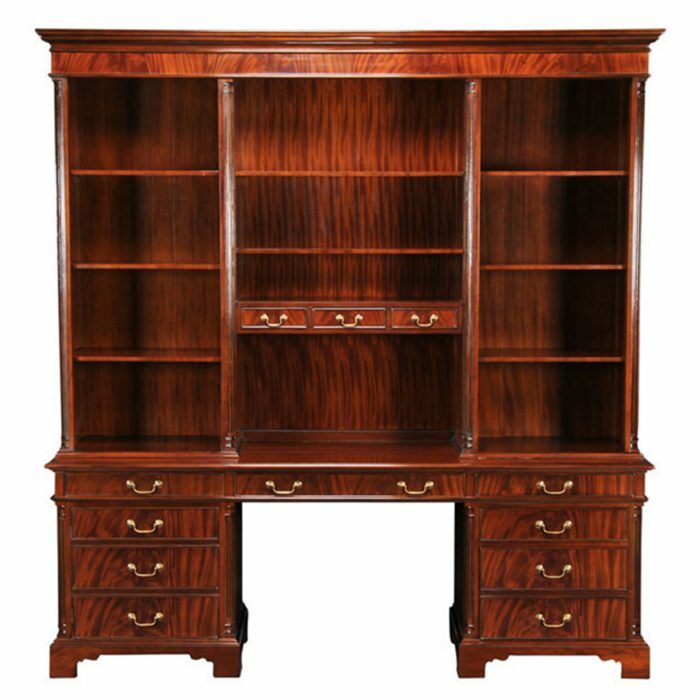 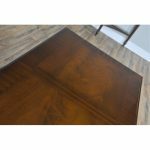 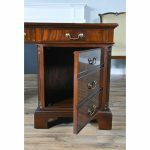 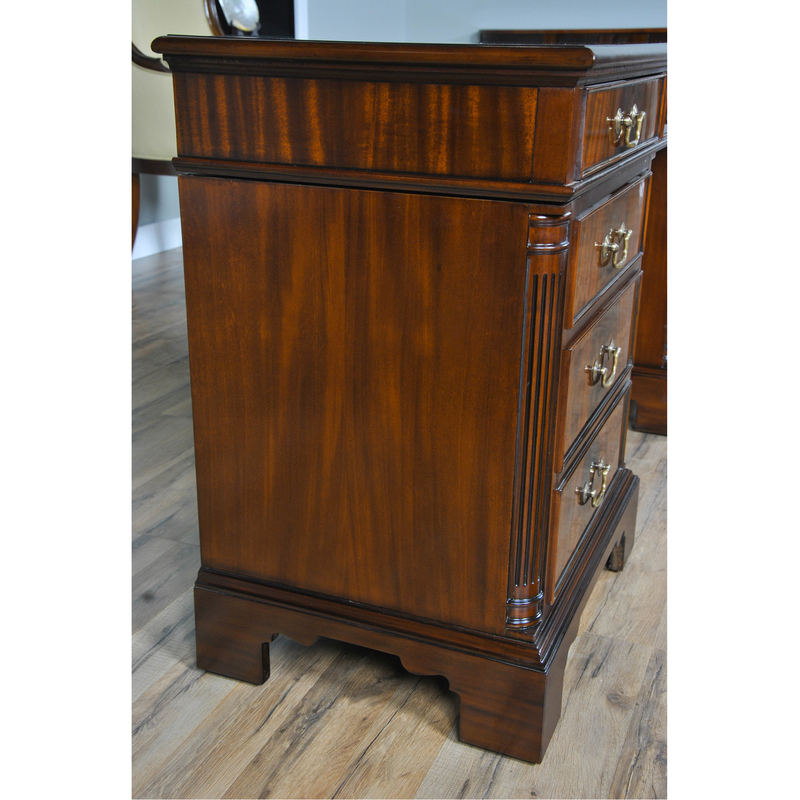 The top section contains three solid, dovetailed drawers, the center drawer with a drop front feature and all of them are arranged under a beautiful top made from sections of fine quality mahogany veneers. 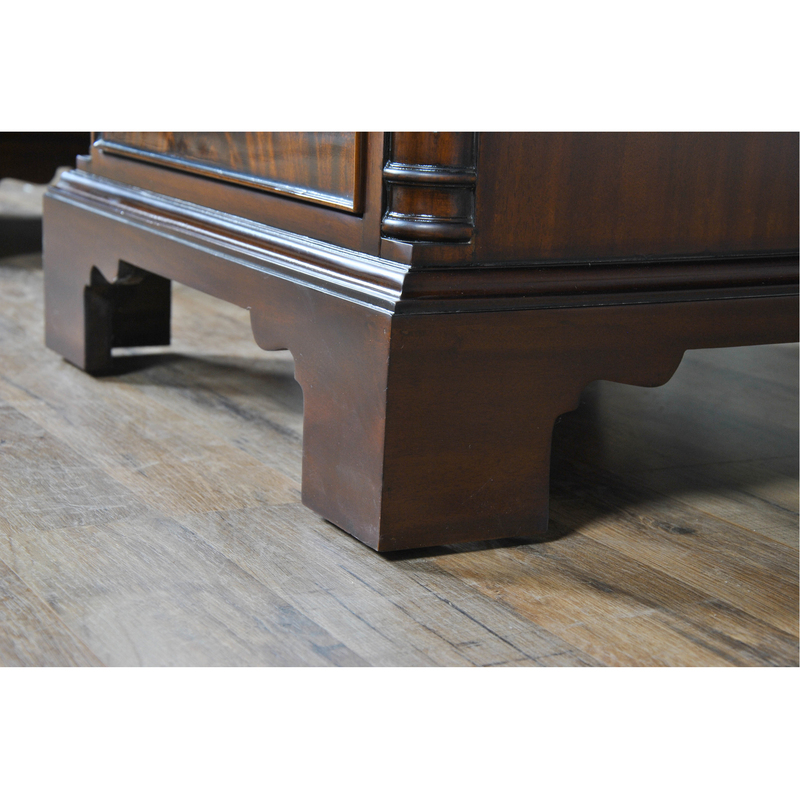 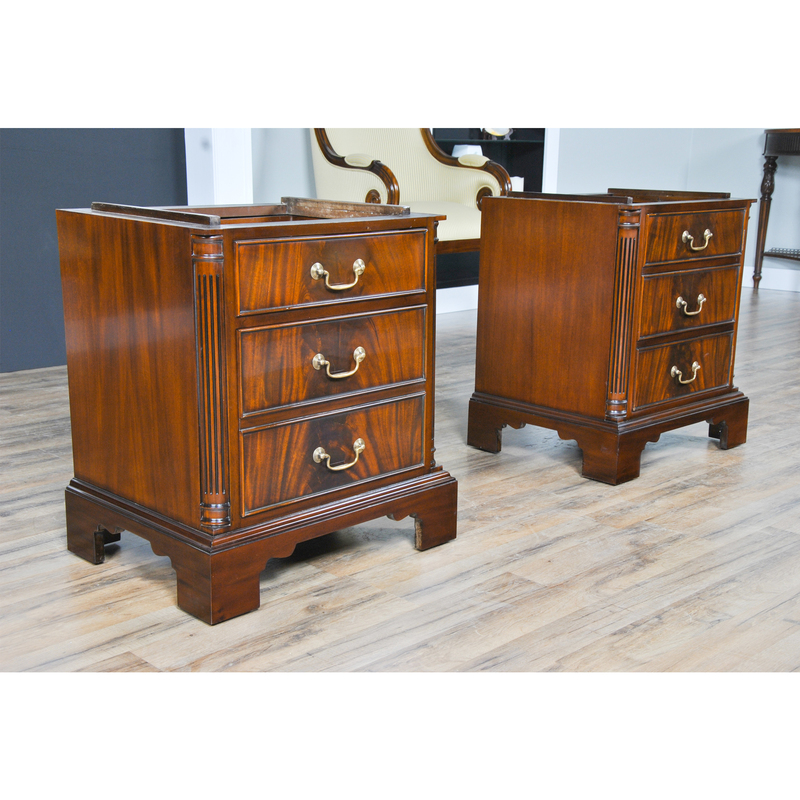 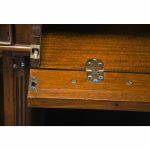 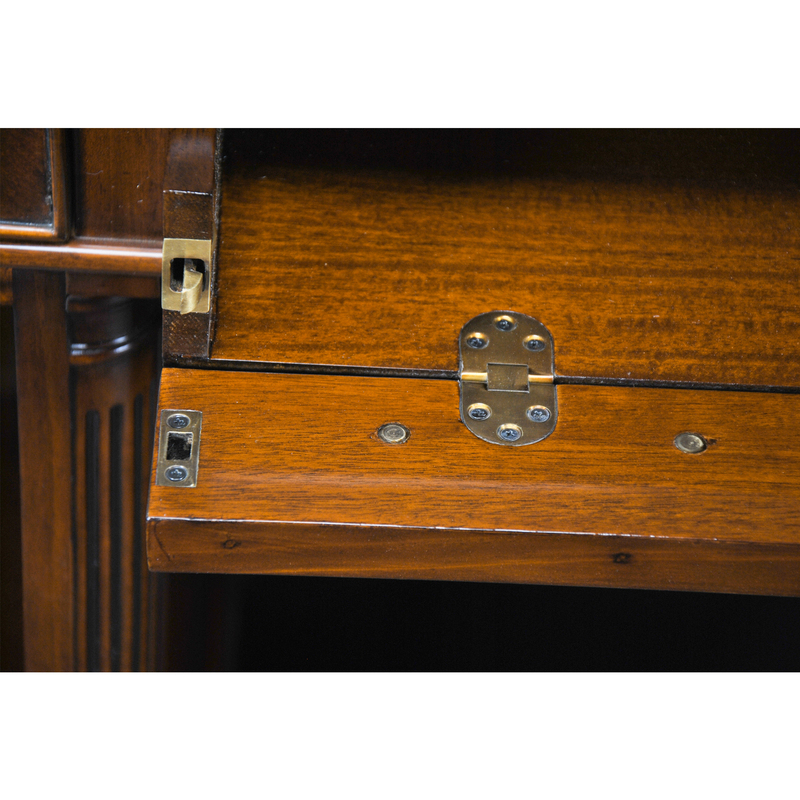 The pedestals feature solid mahogany reeded columns, shaped bracket feet and excellent solid brass pulls. 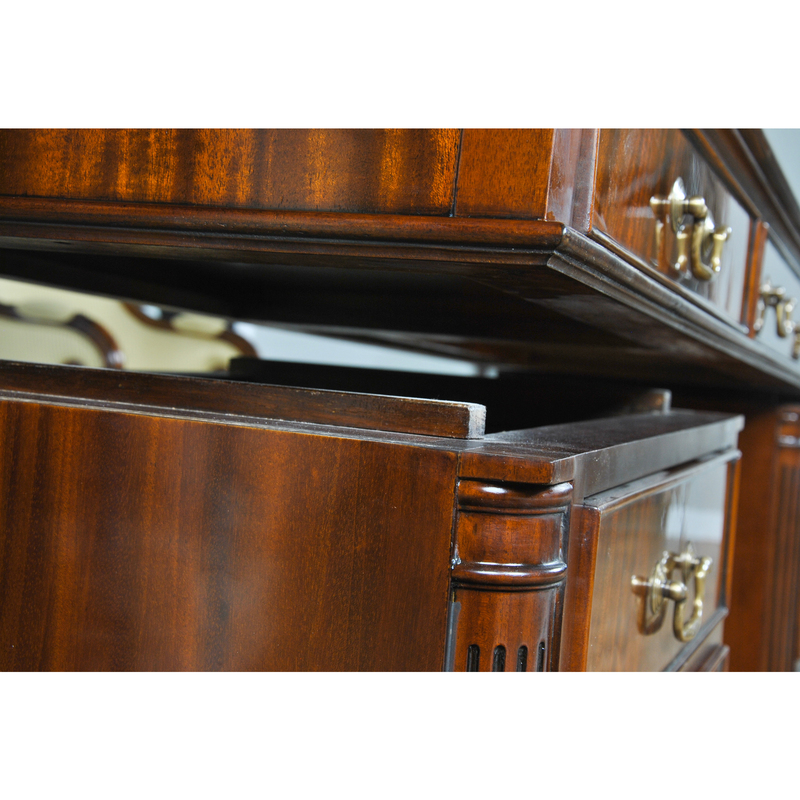 The left bank has faux drawer fronts and opens to reveal a large cabinet space. 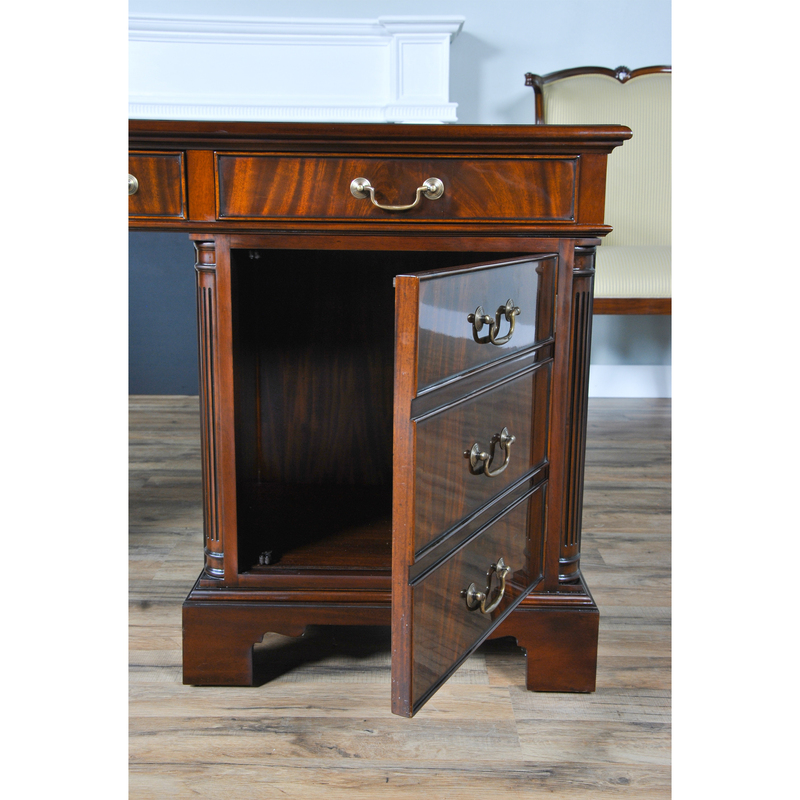 The right pedestal bank contains one regular drawer and one hanging file drawer cleverly disguised as two normal drawer fronts. 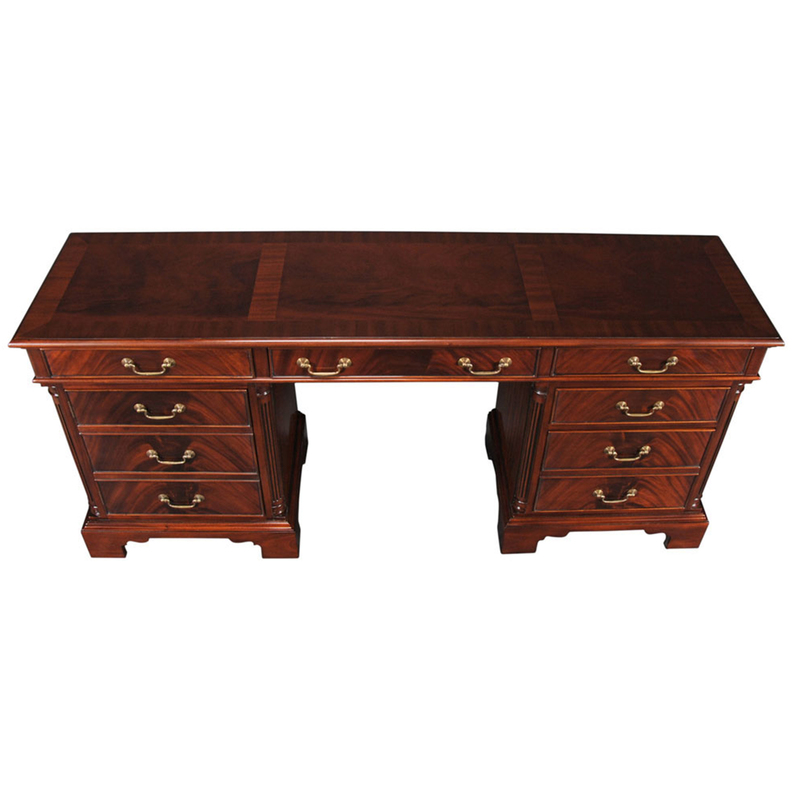 The Mahogany Credenza is a great addition to either the home or workplace.